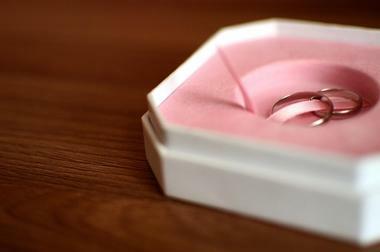 Within South Dakota, you will find hundreds of places to get married or to escape from it all during a vacation or even a business trip. 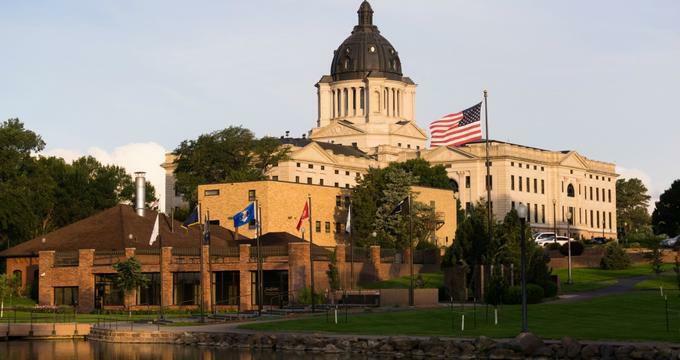 Whether you are planning that special day or just want some time off, you will be treated to easy access to museums, shopping, restaurants, and nature in South Dakota. Select an intimate setting for your wedding or a cozy inn for your getaway or opt for a spacious ballroom at a large hotel with luxury suites. You should have no problem finding a hotel or venue that meets your needs and ensures that your vacation, or your vows, go perfectly. 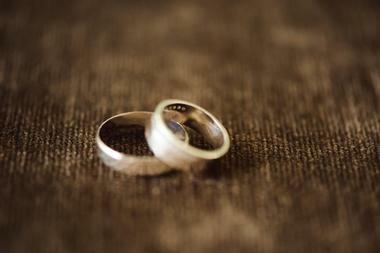 The Museum of Visual Materials has more than enough space to host your wedding and make your day truly special. 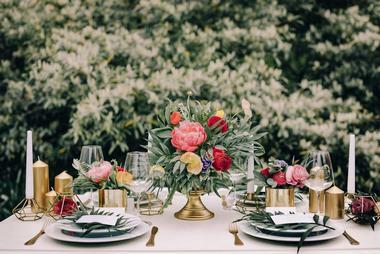 When you rent the space, you also get tables, black padded chairs, white table skirts and linens, black draping and pipe, white fabric, icicle lights, one-time setup, cleaning, and tear-down. If you want a full dance floor, you can fit 175 seated guests in the space, but if you are willing to sacrifice dancing space, you can fit up to 236. You can even have both your ceremony and reception onsite, although this works best for groups under 128 people as the staff can set up everything ahead of time. Arrowwood Cedar Shore Resort sits along the Missouri River, giving guests amazing views of the open waters along with plenty of chances to participate in outdoor recreation. Guests have the choice of lodge rooms, suites, cabins, and camping. The lodge rooms have free wireless internet and are pet-friendly for a small fee. Rooms always include pillow-top beds, minifridges, microwaves, wet bars, coffeemakers, voice mail, irons, and iPod alarm clocks. Suites add pullout sofas and a table with four chairs. Cottages are fully furnished with a full kitchen, four bedrooms, and two baths plus free Wi-Fi and a propane grill. The campground has hookups for RVs and campers plus air-conditioned sleeping cabins. Alternatively, pick a River Ranch Cabin as an affordable choice for groups, with four twin bunk beds, a full sleeper sofa, a king bed, a living room, a kitchen, and a full bath. The lodge has a game room and exercise room along with an indoor pool, a hot tub, and sauna. Take advantage of the sports court, playground, lawn volleyball, or horseshoe court or head to the marina immediately outside the doors. Get a casual meal at Bridges Restaurant or a nice drink at Bridges Lounge. In-season, visit the Waterfront Grill & Tiki Bar on the outdoor deck. Besler’s Cadillac Ranch has a little bit of everything, including cabins, camping sites, event spaces, and friendly service. Guests can bring their RV and take advantage of the hookups, camp in a tent, or rent a sleeping cabin. Three-person cabins have a bunk bed featuring a double bed for the bottom and twin bed on top. The four to five-person cabins have the same type of bunk bed plus an extra bed of varying size. All cabins have heating, air conditioning, minimal bedding, and electricity. Those with RVs will enjoy the full, electrical, and dry hook-ups. There are also plenty of shower houses on the property. This is also a horse boarding facility with training on site as well. Take advantage of the full-service bar during your visit, which is in the three-story barn, where you will also find a dance floor and stage. If you want, you can also hold your event here, taking advantage of the gorgeous scenery. Black Hills Bridal View offers a diverse set of wedding venues that can offer options for any type of ceremony. 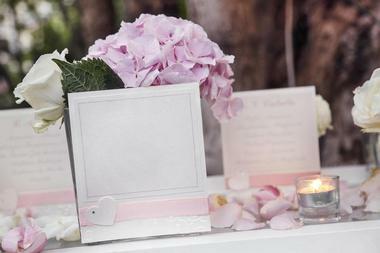 Among the most popular is the Wedding Deck, which perfect for a gorgeous small wedding that includes everything. The deck has a gorgeous backdrop of forest and mountains, perfectly framing your wedding photos. Or you can opt to hold the wedding at their log cabin or the farm, whereby the latter is actually a working farm with a small vineyard plus a quiet pond. Other venue choices here include Indian Springs, Roughlock Falls, Blackstone Lodge & Suites, and Snappers, the last of which has central heating, a fireplace, and a complete kitchen area. Black Hills Receptions & Rentals offers a serene outdoor setting for your wedding and has been hosting special days for 25 years. The backdrop at Swan Point is created by the 10,000 acres of Forest Service Land, perfect for brides who love nature and want room for up to 300 guests. The Grand Gazebo is ideal for a simple, elegant wedding, with its large chandelier, fountain courtyard, and whimsical fairy garden. This venue is available year round thanks to heating. The Cinderella Gazebo makes you feel like a princess and is great for intimate weddings, or get married in the Fairy Garden for a truly intimate affair. There is also a spacious reception tent and a garden courtyard. Blue Haven Barn and Gardens delivers a picturesque wedding venue for those in Sioux Falls. The elegant main event room has vaulted ceilings that are 35 feet tall and room for as many as 300 seated guests. You can opt for in-house catering or choose your own caterer and get access to gorgeous stained wood tables along with Chiavari chairs. There are full-furnished lofted bridal suites, so you can get ready in luxury. 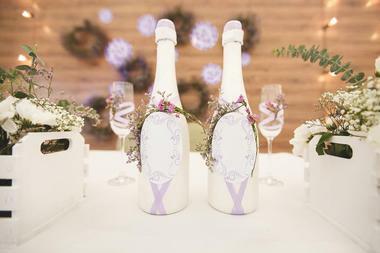 You will find a range of bar options, and the services of the staff are included in the wedding price. You can choose to have the ceremony on-site, in the greenspace, inside, or on the patio with its string lights and lanterns. The grounds are even pet-friendly. 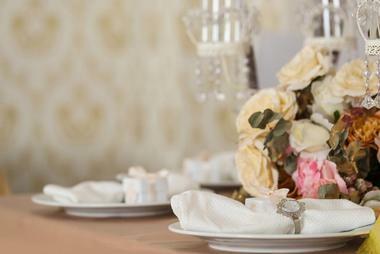 Buffalo Ridge Resort has the landscape and historic buildings you need to make your special day unforgettable. Because this is also a hotel, you don’t have to worry about where your guests will stay and there are plenty of outdoor landscaped locations to take photos. 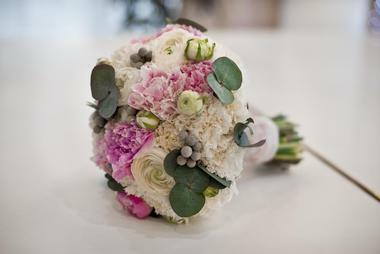 The staff are experienced and will help you plan your wedding down to the detail. Brides also love the fully restored historic buildings, private lake, waterfalls, and range of locations throughout the campus that let the venue host any type of wedding. There is also a dedicated catering team to help you create the perfect menu. Callaway’s has been a part of the Sioux Falls community for nearly 17 years and includes a pub plus a venue for events, such as a wedding. 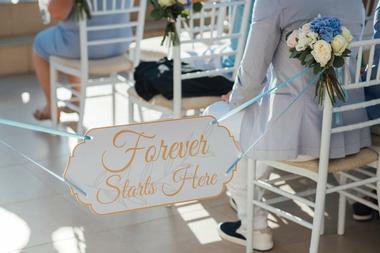 They can help you customize your wedding with personalized planning to ensure that everything goes off without a hitch. For a more intimate wedding, consider renting one of the private rooms, each of which can sit up to 50 people comfortably. 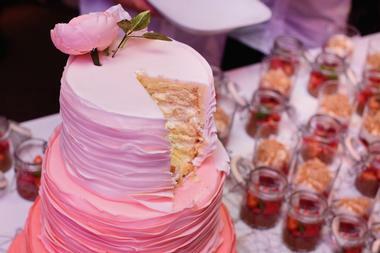 Don’t forget to consider bundling your rehearsal dinner, reception, and cake together to get upgrades for free. Speaking of cakes, Chef April Austin makes custom creations that will wow your guests with their beauty and also taste delicious. Gate City Events is close to Newton Hills State Park, making it a short drive for wedding photos. There are multiple options, so you can have a wedding as intimate or inclusive as you want, depending on your guest list and preferences. 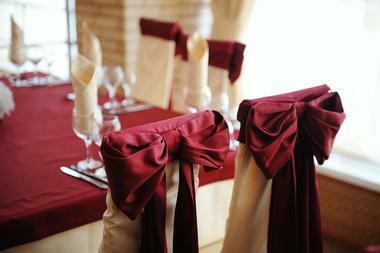 They can also help you with the details such as choosing the caterer and entertainment. For those who want to stay at the wedding venue to make things easy, they also have a house with six bedrooms and four full baths plus a full kitchen, sleeping over 25 people and including all linens. Rent it out for your wedding party to keep everyone close! Good Roots Farm and Gardens is a 40-acre family farm raising non-pesticide veggies grown following organic practices. This makes it a great wedding venue for those who love nature as you can take photos among the fields or even in the orchard. 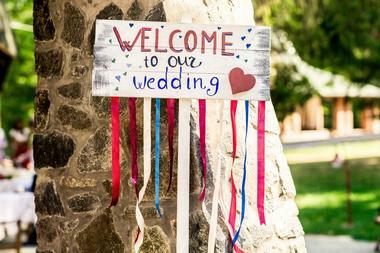 Brides love the 90-year-old restored barn. You can fit 150 with chairs on the main floor or loft or fit up to 100 at banquet tables. The gorgeous vaulted ceiling will catch your eye and you will love the dance-lit patio and adjoining manicured lawns. The rental fee also includes antiques, plenty of parking, a gazebo, tables, chairs, and a moveable bar. Granite Springs Lodge is perfect for enjoying a vacation or hosting an event with its secluded accommodations in the Midwestern style. If you want, you can reserve one of the six camping spots, complete with electrical hookups. There are nine bedrooms in the main lodge, four cottage bedrooms, and seven cabins in addition to the camping spots. The main lodge has wireless internet along with bedding and towels. Depending on how much space you reserve, you may or may not share a bathroom with other guests. Enjoy amenities like dining rooms, TV lounges with 60-inch flat-screen TVs, electric fireplaces, master bathrooms with whirlpool tubs, full-sized fully stocked kitchens, automatic coffeemakers, icemakers, front porches, large decks, gas grills, and a games area. The cottage can hold a group of up to 20 guests with four bedrooms and four baths. Cabins have double beds, bathrooms with showers, small fridges, TVs, heating, air conditioning, coffee pots, microwaves, and fridges plus access to a large deck. This is also a hunting lodge, with planned pheasant hunts featuring professional guides, hunting dogs, and three full meals. Or simply come and relax and consider fishing – no license required. 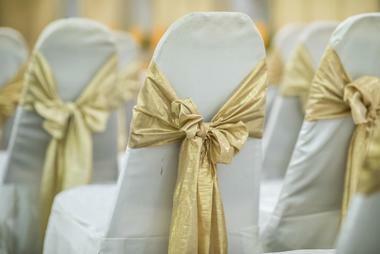 You can reserve the lodge or full property for a wedding or other event. The lodge sleeps a total of 34 guests and you can rent a room or the entire property for an event. There are 11 rooms in total, with a combination of XL twin and queen beds. Relax in the great room with its 65-inch high-definition TV and wood burning fireplace or enjoy the lounging loft or dining area. There are two kitchens, so you don’t have to worry about where you will cook if you want to. You will also find a games room to stay entertained when you aren’t out enjoying the outdoors and there are two large decks to relax on. Outside, soak in the six-person hot tub, go trap shooting, or use the fire pit. There is even the new Pasture Golf Course. This is a prime location for fishing and hunting, particularly for migrating waterfowl or wild pheasant. If you plan on hunting, you will like the air-conditioned and heated garage for storing gear and cleaning game. Guests can enjoy every meal on site, all of which are home-cooked and can include things like lobster and prime rib. Opt for a package that includes golf, hunting, and/or fishing along with meals. Meadow Barn at Country Orchards is just to the south of Sioux Falls, sitting within a 32-year-old apple orchard that features more than 6,000 trees. The barn has an historical raised center design to deliver an exposed post and beam frame plus wood ceilings. The barn is 54 feet wide and 132 feet wide and there is a 10-foot covered patio along the length of the building. Inside, you will admire the three 6-foot-tall crystal chandeliers. 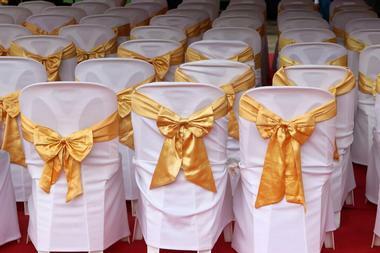 Fit as many as 400 guests for your seated dinner along with an indoor or outdoor ceremony. The rental includes an event manager during the day of the event as well as bar staff and tables and chairs. This is the only wedding venue in Newell with a barn and is a great place for a wedding on a real Western ranch. The antique items help set the mood and you and your guests can stay in the rustic cabins, so you don’t have to worry about finding lodging somewhere else. 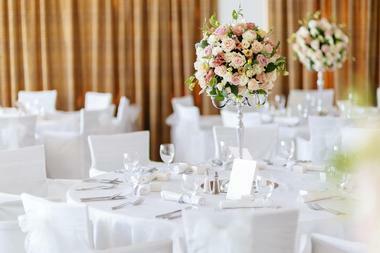 The space can fit up to 300 guests, making it perfect for weddings of most sizes. Although the property does not have its own catering, they do have a full bar and bartenders that you can use. 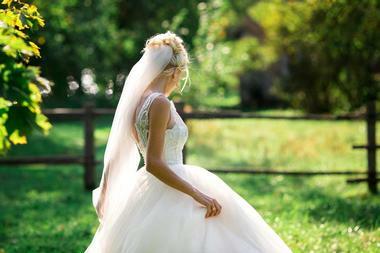 Consider renting the gorgeous rustic bridal cabin so that you have somewhere to get ready. Then, make the most of the 3,000 acres of land for your pictures, including the patio, prairies, barn, and lake. The Sturgis Hitchin Post specializes in weddings as well as commitment ceremonies and vow renewals. You can choose one of their specials, including the Sturgis Quickly, Au Naturale, Happy Camper, or Sacred Waterfall or create your own package. Get married in front of the waterfall at Roughlock Falls, by nature of your choice, or somewhere else. 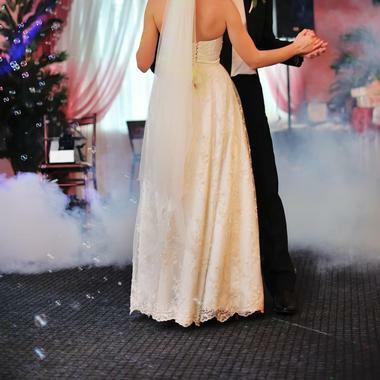 While they are particularly popular during the weekend of the famous Sturgis Motorcycle Rally, you can get married at the Sturgis Hitchin Post all year round. They also provide step-by-step instructions to get your marriage license, and the wedding itself can be short and sweet or a bit longer if you prefer. The Summer Creek Inn prides itself on being the most romantic inn in the Black Hills, perfect for a romantic getaway or the chance to reconnect with loved ones. It also does well for any type of vacation or business trip. The nine guest suites each have their own private luxury bathrooms. Enjoy amenities like a large shower, fireplace, lavish bath and bed linens, hair dryers, luxury spa amenities, sitting areas, 32-inch TVs with DVD players, air conditioning, clock radios with CD players, guest robes upon request, private hot tubs, private covered patios, jetted showers, free-standing whirlpools, double sink vanities, and/or a queen or king bed. Relax in common areas like the gardens and indoor spaces. Breakfast is not included in the stay but is available for a very small fee. It is served every day at 8:30 am and should not be missed. You can also choose to host your wedding or other event at the inn, with the ability to accommodate groups of between 50 and 150 people. The Summit Events Hall offers a range of packages, so you can turn your wedding into a full weekend affair or stick to just a single day. There are even hourly rates available on weekdays if you plan a less involved day. Packages always include setup and tear-down for the tables and chairs plus table linens in your choice of white, black, or ivory. 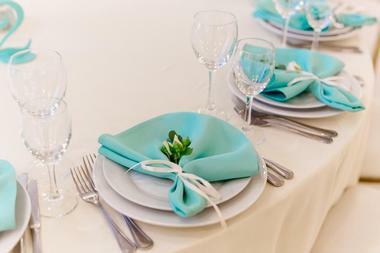 The event hall can also take care of place settings, cloth napkins, bar service, a projector rental, and creating your video slideshow set to music. The space accommodates up to 220 people for a sit-down event. The Canton Barn is a premier venue for private events and weddings with its gracious lawns and restored barn. The barn is 100 years old and has plenty of character, but its restoration means that it is in perfect shape and has up-to-date amenities without sacrificing historical value or that rustic feel. The main level seats up to 72 people and is where the caterers and bar are set up. The loft holds up to 300 guests in comfort and is where you will find the bridal suite plus a 29-foot-tall ceiling. Each level has restrooms and there is a 42’ x 50’ covered patio plus gazebo as well as a fire pit. The Gathering Place is perfect for those who want their wedding to have a home atmosphere without actually hosting it at their own home. You can even rent out the entire house and stay there for the weekend to eliminate the need to travel and to allow your wedding party to get to know each other better. The location in downtown Sioux Falls makes it easy to find more accommodations nearby. The property has room to sleep ten and has a fenced-in backyard, deck with pergola, fully equipped kitchen, tables and chairs for 60, and off-street parking. There is also an event room with a living room style setup featuring vintage-style furniture and seating for 48 people, with an additional room with space for 12 more. The Joy Center is part of Black Hills State University and offers a great venue for your wedding, whether you want to get married inside or outdoors. The building spans 8,500 square feet and is a gathering place for the university plus an event venue. The outdoor area provides a picturesque arch to get married in front of and the property has multiple wedding packages for you to choose from to customize your day. You can have the ceremony and reception on site and enjoy the outdoor patio complete with fire pit for a unique feature that adds fun and warmth to your day. The Kleemann House began its life as a hotel for stagecoaches in 1883 and has been completely restored to deliver an intimate, elegant wedding or other large affair. In addition to the wedding itself, this is the perfect site for your private rehearsal dinner, making use of the full remodeled kitchen and elegant wood bar with its beverage coolers. Between the bar and two dining room tables, there is seating for 20. There are five bedrooms, each with private bathrooms with skylights, for you and your wedding party to occupy the night before and use to get ready. 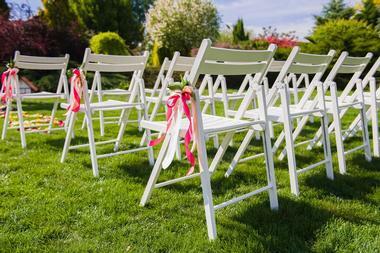 Get married in the picturesque garden terrace with its exposed brick and lush greenery. 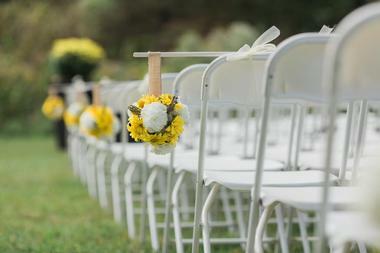 There are enough white chairs to hold 50 to 75 guests. 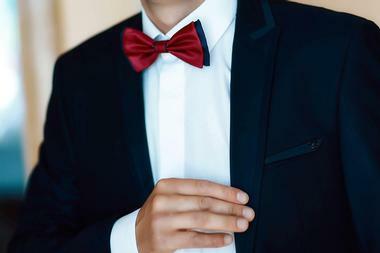 You can also have the cocktail hour and wedding reception on site. The Victorian is a bed and breakfast in downtown Sioux Falls, giving guests easy access to all the local attractions. The building is listed on the historic register and was built back in 1888 with a cozy, intimate setting. The three deluxe suites each have attention to detail in terms of décor along with private bathrooms. They all have queen-sized beds and are on the second floor. Other amenities include coffee and tea service, with most also featuring a TV and small fridge. The wraparound Victorian porch is perfect for relaxing outdoors when the weather is nice, and in the winter you can sit by the indoor fireplace. Your kids will love the rainbow play set to burn off some extra energy. Guests can also choose to rent the full house, with enough formal seating for eight or room for up to 32 people comfortably seated, with space for more if they stand or roam around the property. 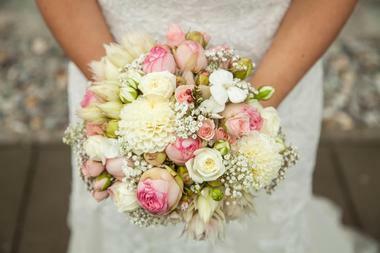 Vintage carefully considers the unique needs of any bride and will go above and beyond to take care of any emergencies that may arise, even if a vendor cancels at the last minute. 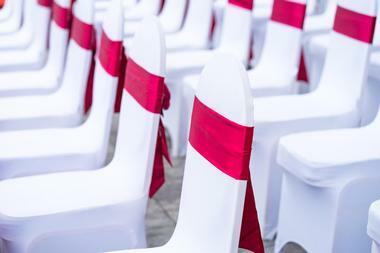 The venue listens to the needs of the brides and makes changes whenever possible, which is why they have added bridal dressing rooms and extra bathrooms. Choose from Vintage 1, with its park-like setting for an outdoor ceremony complete with a vintage ‘49 Chevy truck, or Vintage 2 with an international ’49 truck and a ceremony space surrounded by barn wood. Vintage will also gladly host the rehearsal dinner for up to 60 people and it can include access to the nearby driving range and mini-golf. Woodland Receptions and Rentals has a spacious location with a large event hall, a rental home with space for 16, lots of camping spaces, and plenty of outdoor space. 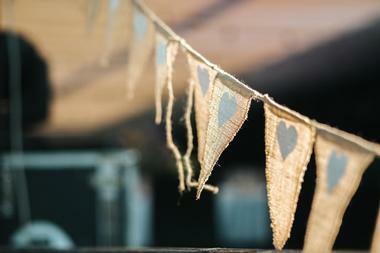 The location is rustic and beautiful with plenty of charm. The main event hall has space for 300 people seated, 3,600 square feet of space, lofty ceilings, a large stone fireplace, a full-service bar with beer and wine, a kitchen prep area, and a large changing area with counters and mirrors to get ready. You can also open the space out onto the 864-square-foot covered outdoor patio or make use of the outdoor wooded settings with several specific locations on site to choose from, including a concrete patio with a moveable fire pit.